After installation water each area thoroughly twice a day on a daily basis for a minimum of 30 minutes with any conventional sprinkler. The best time to water in early in the morning, with the next best being in the evening. Please avoid watering during the heat of the day. Daily watering should occur for 6 to 9 weeks depending on the season and volume of rain fall. Our goal is to keep the soil moist but avoid ponding of water. Once Grass has reached a height of 5 inches it is ready to be cut for the first time. Mowing height should be at 3.5 inches. Never cut more then 1/3 of the grass blade with any one cutting. As with all lawns a fertilization program will encourage establishing and maintaining thicker and healthier lawn. As part of creating a healthy lawn it is also suggested to apply routine weed control application to minimize unwanted and competing plants. **Warranty period is for 6 weeks from the completion of the installation. We offer a 1 time call back to touch up any areas where grass seed does not germinate. After the 6 week warranty period, your grass should be at a maturity and the warranty period is complete. Our warranty period is based on a seed germination occurring between 1 and 3 weeks depending on variety and the customer following the proper cultural practices. A Great Choice is not responsible for soil and seed washouts, relocation or ponding due to excessive watering or hard rains. After installation water each area thoroughly twice a day on a daily basis for a minimum of 60 minutes with any conventional sprinkler. The best time to water in early in the morning, with the next best being in the evening. Please avoid watering during the heat of the day. Daily watering should occur for 6 to 9 weeks depending on the season and volume of rain fall. Our goal is to keep the soil extremely moist (almost soggy) initially for the first 2-3 weeks and then just consistently moist moving forward. Warranty Period is for 5 weeks. At which point the sod should be well rooted and established. 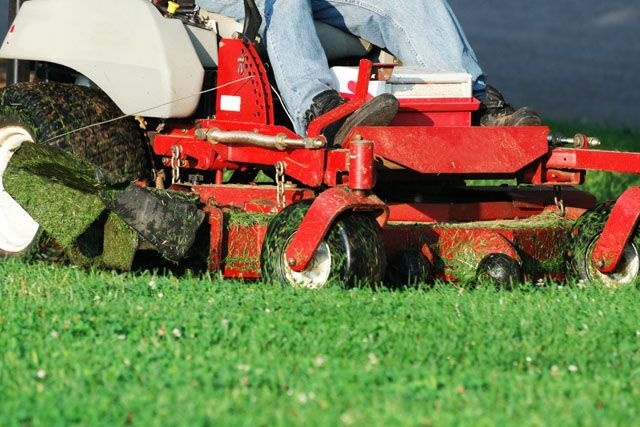 We offer a one-time call back on sod installations to address any issues. A Great Choice Lawn Care and Landscaping certifies that all plants are true to their labels. All landscape quotes are subject to the plants availability based on nursery wholesaler’s inventory. Due to time of year/ trends in the plants and weather conditions certain plants are only available during certain times of year. Substitutions of plants may be made prior to the installation, these substitutions will be made at the discretion of A Great Choice Lawn Care and Landscaping and will factor in both aesthetic value and a plant that is suitable for the location. A Great Choice offers a 1 year warranty from the installation date on all plants unless otherwise stated. Failure to follow proper horticultural practices and care sheet will void entire warranty. A Great Choice should be contacted immediately when any plant shows the first signs of deficiency. Diagnosing a completely dead plant is a difficult task for any trained Horticulturist and should be avoided. Any plant that is up to 40% dead will not be warrantied as it should recover with proper care. 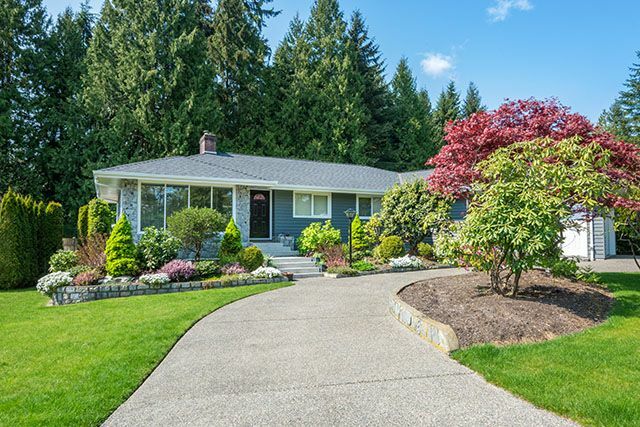 A Great Choice Lawn Care and Landscaping is not responsible for damage done by animals, disease, insects or weather conditions and generally speaking things that are out of our control. Plant death due to lack of or improper watering, human misbehavior, mechanical damage, salt/ de-icing damage, weather or theft is not the responsibility of A Great Choice Lawn Care and Landscaping. Watering should occur daily for the first two weeks to keep the soil moist but not saturated. Watering should occur every other day from weeks 3 to week 8. After 1 month plants should be partially rooted in and it is best to remove any supporting straps or guide wires. Mulch should be kept around all plants and added to annually for retaining moisture and continuing to amend the soil. Pruning should occur at different times of the year depending the specific plant. Upon request a pruning schedule can be provided to obtain maximum plant health. All plants should be fertilized at least once a year by method of slow release deep root feeding. Some plants depending on variety and species may need to be protected during the winter months to ensure a quick recovery from cold weather dormancy. Due to the inherent nature of printed literature and current digital media, A Great Choice Lawn Care and Landscaping cannot guarantee specific color matching to printed representations of its color swatches. granite are present within the recipe to allow for a range in tones, veining and textures from one stone to another. Therefore, color samples shown are approximate representations of standard colors and actual product colors may vary. Final color selection should be made by the samples provided from A Great Choice Lawn Care and Landscaping. If concerns still exist of the final color selection A Great Choice Lawn Care and Landscaping will meet the client at the distribution yard to view multiple layers on pallets. A Great Choice always recommends immediately verifying the product and color upon reception. If there are any discrepancies, contact A Great Choice immediately before continuing your project. Installation of the product constitutes your acceptance of the product as is. functionality or the structural integrity of the product. Although efflorescence cannot be prevented, it will wash off over time or can be cleaned with efflorescence cleaner. A Great Choice accepts no responsibility or liability for this condition. remove the water or concrete dust from the surface of the pavers before it dries. Construction residue can also happen through soil disturbance or environmental elements. These contaminants should be removed immediately but do not affect the integrity of the product or your installation. A Great Choice accepts no responsibility or liability for these occurrences.